As we wait for battery technology to improve, many turn to battery accessories to give their devices that extra ‘push’ that they need to get them through the day. Xtorm has a new solution that most will probably find extremely useful. 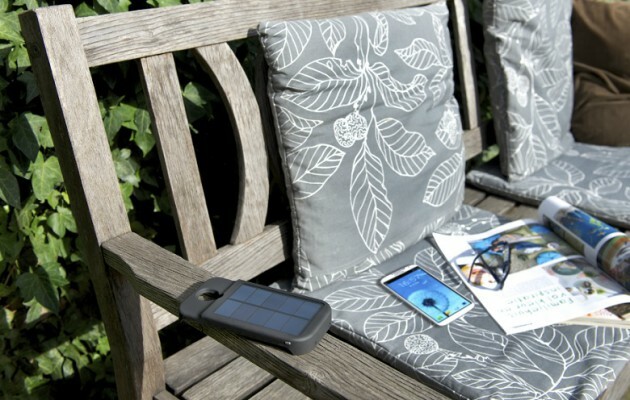 The company has launched a solar battery pack accessory for the Galaxy S4, which promises to add an extra 3000mAh of battery capacity to your handset. The design is a bit bulky, but you don’t have to keep it attached at all times. When your phone needs a boost, simply plug it in and let it do its thing— of course keeping it plugged in will ensure that you’ll have a near-full battery at most times, but for aesthetic reasons, it’s understandable that you’d want it to be disconnected at some times. The Xtorm GS4 Solar Power Pack will hit store in Europe for about €50, or just under $70 USD.